Via Instagram lately, I have been getting nonstop questions about the purse I am almost always carrying around. 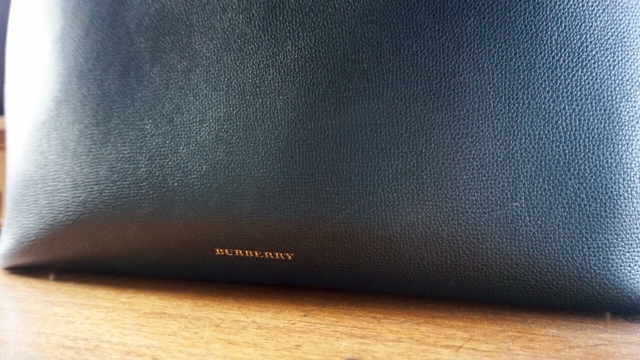 For my birthday last year, I was lucky enough to be gifted a Burberry Banner Bag from my boyfriend, and it was truly, tear-inducing. I had had designer bags in the past, but honestly nothing near as nice as this. He knows that I love pieces with a classic style, that will never be off-trend, so after doing lots of research, he thought this pick from Burberry would best suit my style. I love the structure of the bag. It's a nice sturdy rectangle shape, with tiny gold-detailed legs on the bottom. 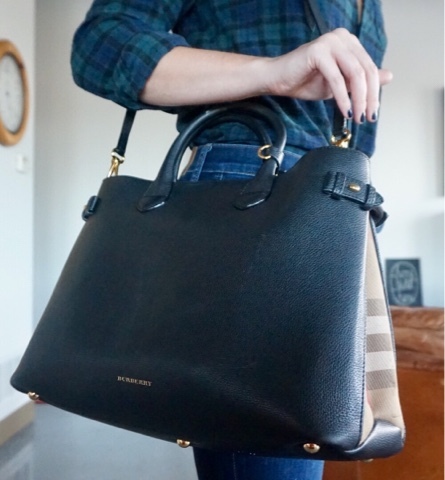 The bag overall is grainy-black leather (perfect to hide scratches) but has the classic Burberry plaid pattern on the sides. I also am absolutely in love with the very small and subtle "Burberry" imprinting in gold near the bottom of the front. 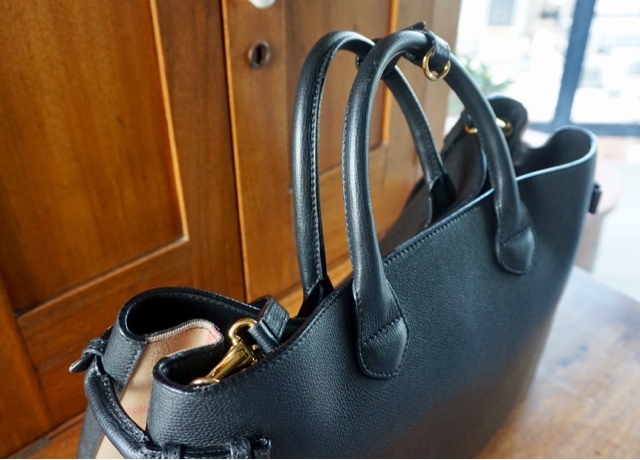 The bag is "open style" with a leather hook among the handles for closure. It has so much storage space, that I can fit endless items in here, and not feel overwhelmed in the slightest. I love the gold detailed hooks along top as well, for if you want to add/remove a strap for over-the-shoulder or hands-only wear. Honestly, this bag is so classic, I know I will carry it for the rest of my life. 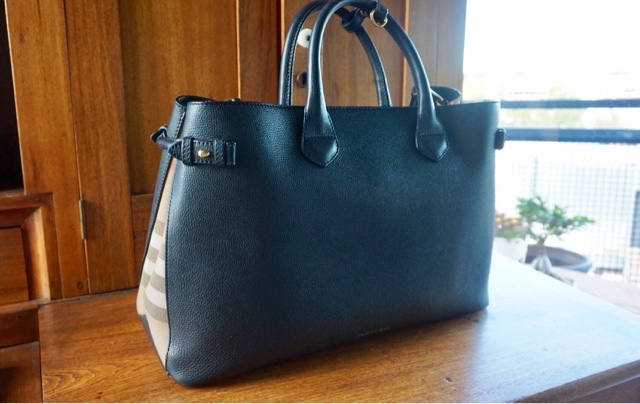 If you are in the market for an investment style handbag, I couldn't recommend this enough! *Another shout-out to my insane and amazing boyfriend. I actually did cry when he gave it to me and for days after.